Most people are familiar with the FICO score version of the credit score. Scores on the FICO scale range from 300 to 850. 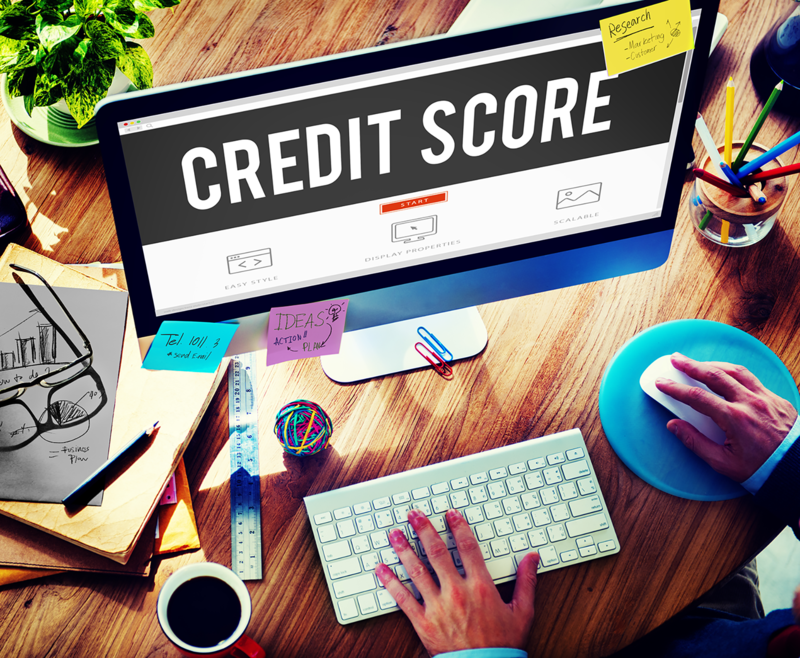 However, there isn’t just one credit score range to go by. There are different types of credit scores, and each of them has its own range. This is the main reason why when you look at a consumer credit report versus a mortgage or lender report, you notice a difference in the scores. Sometimes there are multiple score modules. Your credit score can impact many areas of your life, particularly when it comes to homeownership – yet few seem to fully understand how it’s calculated. And more importantly, how it may be improved. 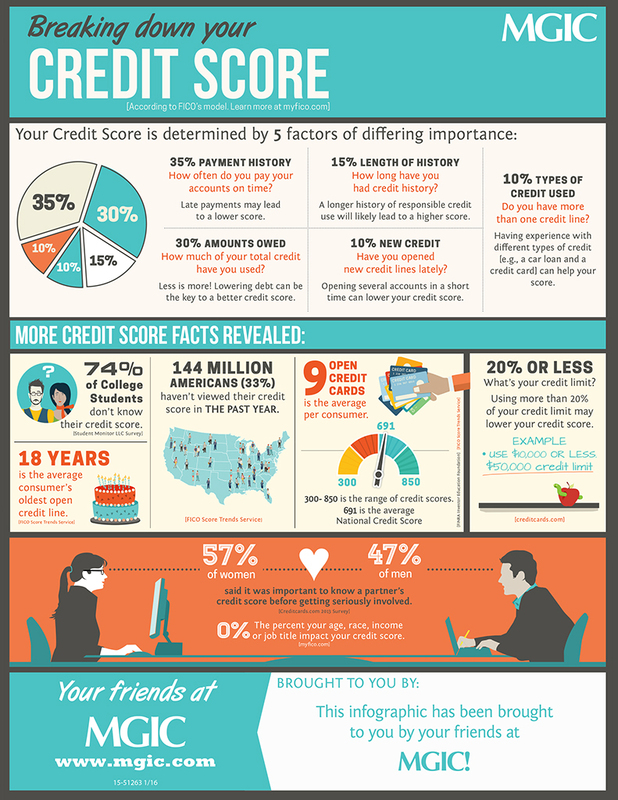 MGIC’s illuminating mortgage infographic, Breaking Down Credit Score, will help you easily understand how the FICO credit score is calculated and reveals credit-related facts like the average national credit score.